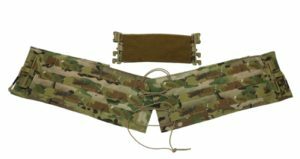 The retro-fit Cummerbund kit will work on Body Armor Carriers and PCs that use the traditional front velcro flap and rear pass through channel of 7″ to be converted to First Spear Tubes™ or ROC buckle. The kit includes the adjustable 4″ front flap/Male Tubes and the cummerbund with the female Tubes or ROC buckle. The cummerbund support side plate pockets (6×6,6×8,7×8) and is fully adjustable. The cummerbund will also support soft armor inserts and Rigid Inserts. FirstSpear® Tubes™ are trademarks of FirstSpear, LLC. 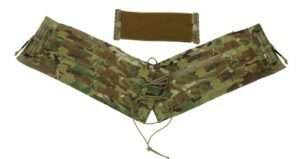 The Beez Combat Systems Kalashnikov (AK) Chest Rig GRID is adjustable for sizes short and small to big and tall. 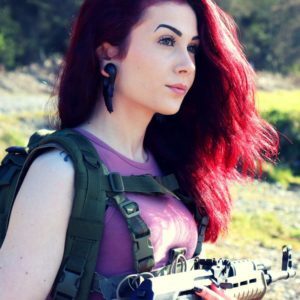 Seen here is the Beez Combat Systems Kalashnikov Chest Rig GRID utilizing a three magazine load out in multi-cam worn by model: Rochelle ‘Lucy’ Sietz. The low-profile design of the Beez Combat Systems Kalashnikov Chest Rig GRID provides comfort for even the most petite of weapons’ operators. A brief example of this is the model example stands at a height of 5’3″ weighing in at around 105 pounds. The quick release shoulder and waist buckles allows female operators advanced and unique adjustment to compensate for both girth and bust. 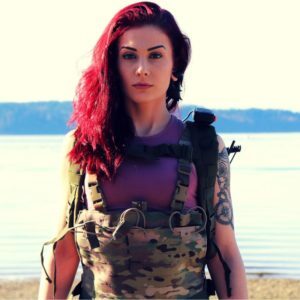 As well as the Kalashnikov Chest Rig GRID by Beez Combat Systems compliments female operators’ specific physical attributes when training or deployed in both cold and warm weather environments. 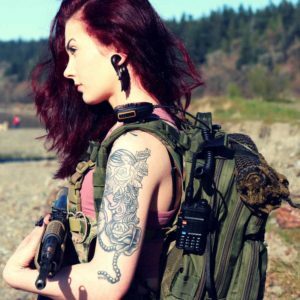 Regardless of weapons platform the Beez Combat Systems Kalashnikov Chest Rig GRID compliments magazine types from all manufacturers of the world renown firearm. This includes imports from Bulgaria, Romania, Yugoslavia, China and of course Russia not limited to specific models such as the MAK 90 or Draco. Magazines by manufactures such as MagPul and Tapco also do well within the Beez Combat Systems Kalashnikov Chest Rig GRID. 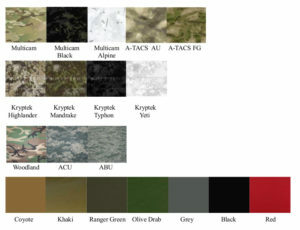 Utilizing Kalashnikov magazines while training marked with various colored tape or even applying an after-market wrap to a Kalashnikov magazine will sit well with the the Kalashnikov Chest Rig GRID. The retention cords/pull straps found over the magazine shingles’ are completely adjustable even allowing up to a 40 round Kalashnikov magazine to sit comfortably on front. Compared to traditional and competing Kalashnikov Chest Rigs the Beez Combat Systems Kalashnikov Chest Rig GRID is deigned with weight distribution, comfort, reliability and battlefield damage in mind. Less material is used than chest rigs that require reinforced stitching for load bearing essentials reducing overall weight of the gear. This factor in turn provides additional comfort for the short and small operator as well as provides an almost zero visibility profile.